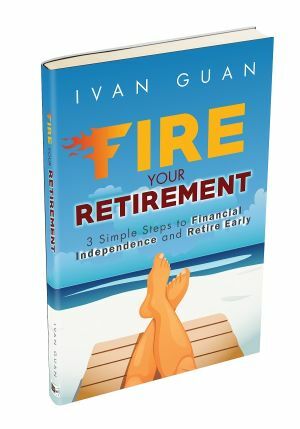 For a very long time, Singaporeans were deprived of investing in good financial products. Bond has always been the cornerstone of financial institutions and high net worth individuals’ investment portfolio. However, most bonds in Singapore had a high entry barrier such as $250,000 which makes it exclusive to the wealthy. When retail investors battling in stock markets with bloodshed, bond investors often sit at the beach enjoying their lives and collecting the coupons. If you are not familiar with bond investment, check out how it works in this article. What is “Singapore Savings Bond”? Singapore Savings Bond is a type of government bond. It means that the government borrows money from you and pay you interest (the coupon) in return. In the past, Singapore government already issued such instruments called Singapore Government Securities (SGS), in the form of Treasury bills (T-bills) or bonds. The problem is that these instruments are designed for institutional investors, not man-on-the-street. They either require a large capital outlay in millions or they are very illiquid. Many people talk about Singapore Savings Bonds as if it is FREE money to help the retail investors that you should buy as much as possible. As an investor, you should understand bond issuance is a capital raising process, not a charity act. In the past, Singapore was lucky that we are the rare country in the world without a budget deficit. Unlike debt-ridden countries such as the US and China, Singapore has positive cash savings for many years. According to a Bloomberg report in 2018, the Budget deficits only started in 2015 which could be the reason that the government decided to tap into the retail markets for bond issuance then. Singapore Savings Bond (SSB) is designed to a low-risk low-return product for retail investors. The bonds are targeted at small retail investors with the minimum investment just $500 with additional multiples of $500 up to a cap. As a start, each Singaporean can only buy up to $50,000 SSB per issuance and $100,000 for the individual limit. The limit has been revised to $200,000, and you can use your Supplementary Retirement Account (SRS) to invest in SSB with effect from 1 February 2019. It was reported that “MAS said it will offer around $2 billion of SSB for the whole year in 2018”. This number ($2 billion) is more than all the past 3 years combined bonds amount ($1.9 billion), which shows that there a strong demand now for SSB. Given the sluggish stock market due to intensifying US-China Trade War, this is not surprising. Why is “Singapore Savings Bonds” Different? Singapore Savings Bonds are quite unique. 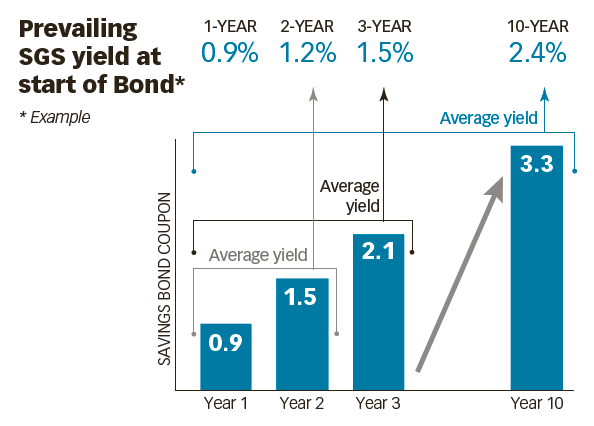 One critical feature of the Savings Bond is that its coupon (interest) steps up every year. The to-date average interest rate of the Savings Bond at any one point in time will be as if an investor had bought a Singapore Government Security right from the start of the Savings Bond and that matures in the current year. Not punished for early withdrawals. This also means, unlike other bond investment, investors do not have to decide upfront the duration of their investment. Singapore Savings Bond interest rates will be linked to the long-term Singapore Government Securities (SGS) rates. But unlike SGS bonds, which pay the same interest rates every year, the new product will start with smaller interest rates that will keep rising. Below graph shows how the step up interest works. The average interest investors will receive over the period they hold Singapore Savings Bonds will match what they would have received had they bought an SGS bond of equivalent tenure. This means that if you hold your Savings Bond for the full 10-year term, the average interest per year on your investment will match the return if you had invested in a 10-year SGS bond. The 10-year SGS has mostly yielded between 2 and 3 per cent over the past 10 years. Below is the return of the first Singapore Savings Bond, which was issued on 1st Oct 2015. As you can see, the first 3 years average return is not exactly attractive as it was worse than most promotional fixed deposit rate. It is more meaningful if you treat it as a long-term investment. The Savings Bond combines features of a fixed deposit and a regular government bond. Notably, the early redemption feature, the long tenure and step-up coupons make for a unique offering. Below is comparison table compiled by Business Times. 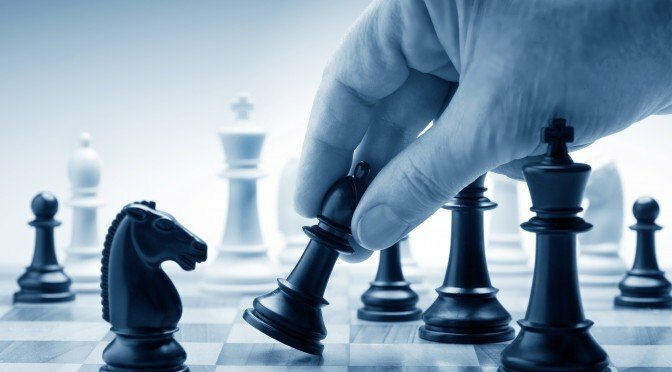 I have long been struggling to find suitable low-risk investment instruments for my clients’ investment portfolio as a Singapore investor. When you want to sell, you will be charge unreasonable fees again as the transaction is over the counter. Moreover, many bonds come with terms and conditions which make the deal worse off for investors. Anyway, all these eat into the already pathetic bond returns in Singapore as good company in Singapore pays peanut yield. Singapore savings bonds are fully transparent and backed by the government directly. In this aspect, it is a good alternative for investors who need guaranteed returns. In a rising interest rate environment like now, the step up interest rate is supposed to be a good feature to hedge again interest rate risk. However, the reality is not as perfect. 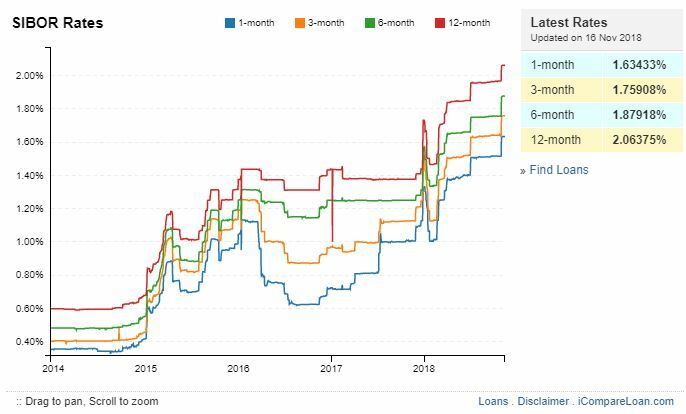 From the below chart, you can see the historical interest offer of Singapore Savings Bond based on 10 years tenure (blue line), it doesn’t keep up the speed of rising interest rate. The latest offer is actually worse than those offered in 2015. At the same time, look at how fast Singapore Interbank Offered Rate (Sibor) rose. I mentioned earlier that Singapore Savings Bond is a capital raising process and not a charity act. Thus, if there is a strong demand like now, your deal may not get better in the future. Most Singaporeans have huge property loans. If you put your savings into Singapore Savings Bonds, you may get a bit of return from the coupon payment, but you have to pay nearly equivalent interest to the bank for your mortgage loan. The latest promotional fixed rate home loan offers are as below. As you can comprehend, just because a 2% return is guaranteed, it is not necessarily a wise choice. In fact, Savings Bonds are not new and have a long history around the world. In many instances, governments have used them for fiscal purposes, such as paying for wars. As an investor, you should always look at your opportunity costs. If you put your money into SSB, you need to make sure you have no better alternatives with similar risks. Singapore Savings Bonds is a game changer for Singapore’s bond market. It sets a minimum return if any company wants to raise capital from the public. You may still remember the default of Swiber’s bond and recent Hyflux saga. Gone with the days where a company with danger sign can still issue a high yield bond with 4 to 5% interest in Singapore. 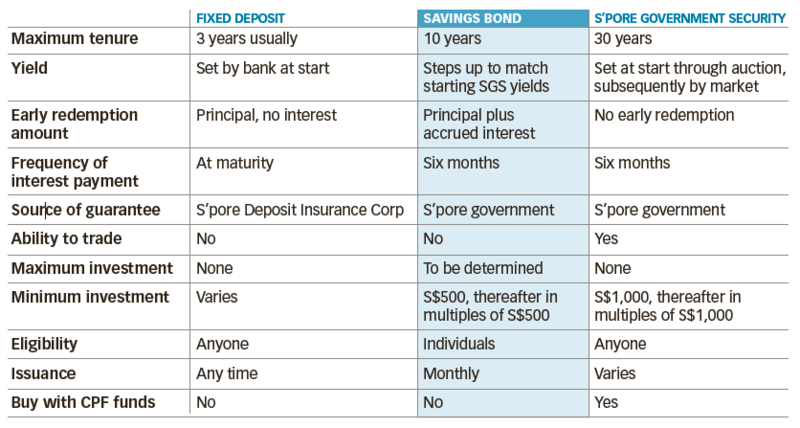 By definition, a 10-year Singapore Savings Bond is closely linked to a 10-year Singapore Government Bond. You may hear about something like “inverted yield curve” in the US lately. I won’t go into the details about this as it is very technical. But you need to know the Singapore’s interest rates are affected by US interest rates. It also means SSB’s rates are affected by US interest rates. Therefore, you should monitor the interest rate closely instead of just subscribing whenever there is a new tranche. Personally, I take SSB as part of the cash savings instead of an investment. But if you are really keen to put your money into SSB, think about the following first. Have you maxed out your CPF top-up benefits? Have you paid off your home loans or refinance it to a lower interest? 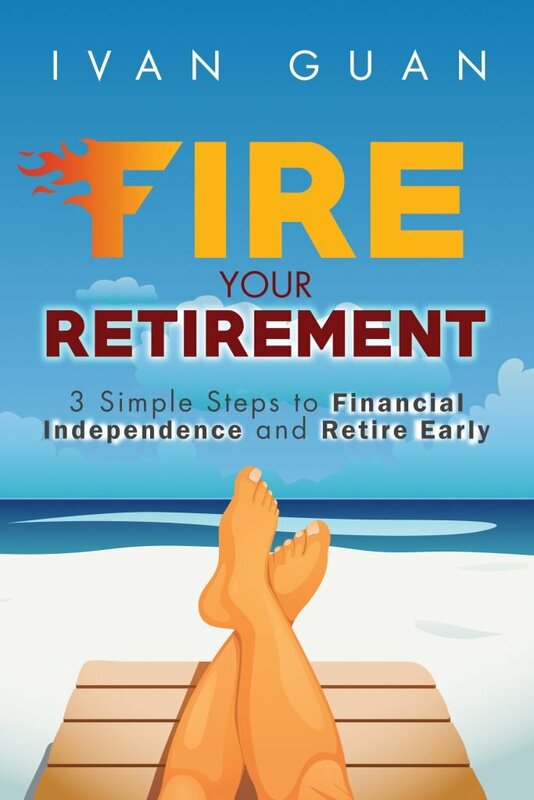 In my latest book “FIRE Your Retirement: 3 Simple Steps to Financial Independence and Retire Early“, I list a systematic way to allocate your personal wealth. How are your options for Singapore Savings Bonds? Do you have any question about bond investment? Simply leave your comment below so I will try to answer. Just want to point out that the usage of SRS funds to invest in SSB, as well as the raising of Individual Limit takes effect from 1 February 2019 instead of December 2018. Thank you for highlighting, I have corrected the phrase. Interest rates are different but surely you will get advantage in coming time. The coupon rates for each issuance of Savings Bonds are determined such that the return over an investor’s investment period is linked to long-term Singapore Government Securities (SGS) yields. It means that your average annual compounded return over a holding period (e.g. 5 years) should correspond to yield to maturity of a corresponding SGS (e.g. 5-year SGS).